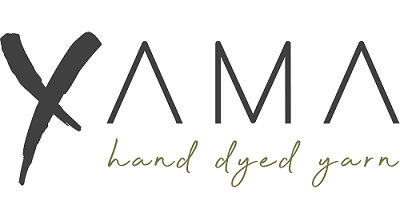 Yamayarn.com will not use the contact details of customers for any purpose other than getting in touch if there are questions regarding an order. Names, email addresses and all other information is kept completely private, and Yamayarn.com will not share this information. To receive newsletters, a customer has to sign up for it. Paypal account information is processed through a secure server and Yamayarn.com does not has access to it. South African customers paying via EFT will not be asked for any banking details since Yamayarn.com does not make use of instant EFT payments. EFT's must be done via the customer's own South African banking portal. USD : Customers residing outside of South Africa who do not have a South African bank account must shop in the USD currency and will be directed to Paypal when checking out an order. Orders will only be placed once the Paypal payment has been successful. Orders will only be shipped once Paypal has given the go ahead that the funds have cleared. ZAR : Customers residing within South Africa and have a South African bank account can shop in ZAR and make an EFT payment via their individual banking portals, a proof of payment must be sent within 1 hour from placing the order to secure it. Unpaid orders will be canceled to make stock available to other customers. Banking details and email address will be provided at checkout. Dye batches vary and there can also be variations within batches. It is highly recommended to alternate skeins when working on larger pieces. All efforts are made to present yarn colour as true as possible but please keep in mind that device screens differ. Currently not accepting wholesale orders. If you would like to collaborate, please get in touch via the contact page and Madeleine will get back to you as soon as possible.